The event is free and open to the public. 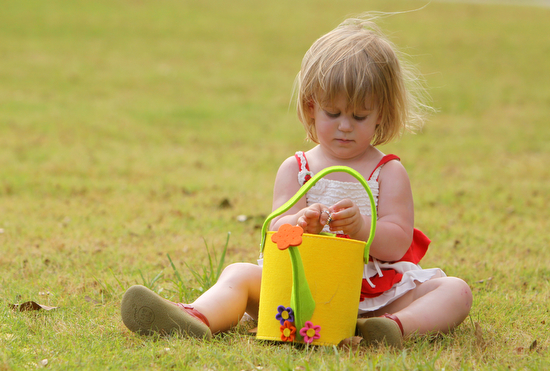 It consists of four Easter Egg Hunts: children ages 1 to 3 hunt at 11 a.m.; children ages 4 to 6 at 11:15 a.m.; children ages 7 to 9 at 11:30 a.m. and children 10 to 12 at 11:45 a.m. Participants can exchange the eggs they find for a gift bag filled with candy. The event also features music and food. Other activities include games, sack races, face painting, as well as arts and crafts. The Easter Egg Hunt sponsors include Audubon Zoo; Coca-Cola Bottling Company; iHeart Media, New Orleans; and OPSO Special Reserve Deputy Unit. Children up to the age of 10 are invited to join. Please bring a basket or bag.